With a tweak here and an adjustment there, you can live a more joyful and balanced lifestyle after the age of 50. Strangely, the best part about using your time even more efficiently isn’t that it will increase your output. The best part of becoming more productive in post-midlife will be the positive things you’ll learn about yourself – and the feelings of poise and accomplishment you will experience. Many of us are living unbalanced lives, even after the age of 50. For some, our careers feel like all-or-nothing. We believe, correctly, that we must bring our A-game to our work in order to become increasingly successful. 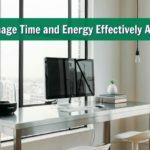 But we mistakingly think that “A-game” means a 60-hour workweek – and being physically tired and emotionally drained much of the time. For others, we’re so busy taking care of other people and attending to the details of their lives, that we forget to create our own balanced health. In reality, life usually feels best when we find the right mix of passionate interests and necessary responsibilities. We need a lifestyle that is more balanced. what revelations have you had so far about living a balanced lifestyle after age 50? 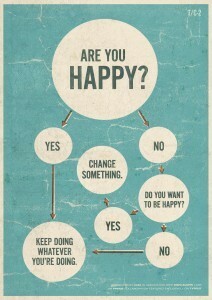 or, does lately your life sometimes feel imbalanced? 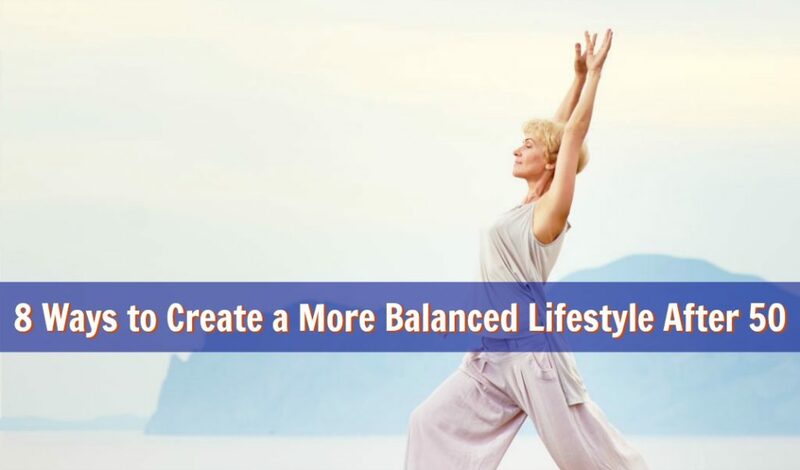 Here are eight methods for creating a balanced lifestyle after age 50. We think that taking care of others is generous – but we forget that among the most generous things anyone can do, is to model for others what good self-care looks like. Living a balanced lifestyle means saying “no” a lot because you have to be fiercely protective of your time and physical energy. In fact, living a balanced life is one of the most spiritual, giving things you can do. When you engage solutions for realizing your full potential – and become prosperous and physically healthy as a result – it unconsciously gives other people permission to do the same. It’s inspiring. “Anti-aging” has a desperate, fear-based sound to it – as if all aging is bad and must be halted. Dan is a 54-year-old in the southwestern US who balances a full-time job with his hobby as a triathlete – in addition to being a husband and parent of three boys. Healthy aging is more nuanced. Just as when your eyesight becomes blurry and you get glasses to see better, “healthier aging” is a means to slow (or remove) the more unnecessarily negative events that can occur as we mature. Healthy aging after 50 also includes celebrating and emphasizing the more positive aspects of getting older. After all, emotional aging is a natural part of the life experience. Each human life has its seasons (I mean, you couldn’t pay me to be 23 again). Healthy aging is the art of learning to live balanced – a journey into increased authenticity and purpose. But healthy aging is more than just an art; it’s a science. Scientific research is growing rapidly, proving new ways and creating new solutions for living balanced – lengthening life expectancy and improving daily quality of life. Some people under the age of 50 are getting a jump on their healthy-aging protocols and living the longevity lifestyle before their peers do. The longevity lifestyle is a system of living that optimizes your thinking, feeling, and habits so that you can live the longest, happiest life possible. The essential idea is that wellness is true wealth and that when you have optimal wellness, anything is possible – your present, and future, are wide open. One recent and significant aspect that science has contributed to our understanding of the longevity lifestyle, concerns the overall impact of relentless low-level stress. In the short video above, the doctors reveal how stress and aging are really the same things and they share ideas about how to negotiate with stress in order live more effectively and more balanced. compare your pre-breathing number with your post-breathing number. Inner peace is that sweet stillness and abiding calm that each of us has at our soul’s center, and accessing that relaxed sense of satisfied stillness is easier when our lives aren’t weighted too heavily in one particular area. There are realizations that many people have as they gradually experiment with living a life that is more balanced. I believe these realizations reveal how to achieve excellence. Being mindful of these dynamics as they occur during your own journey of self-improvement will make the process more meaningful and – frankly – also help you to achieve your goals more quickly after age 50. The journey often begins as we become irritated with our own habits, and feel a “sneaking awareness” that we’re not realizing our full potential. We know our lives are cluttered, and we know we’d like to streamline. But even the word “clutter” fills us with a bit of dread. We immediately think of the things we should be doing if only we were “better” – like cleaning the boxes out of the garage or sorting through that pile of receipts on our desk. Still, at this point, we begin sensing, on some level, that specific habits need fine-tuning in order for us to feel more balanced. Surprise, surprise – for most us, guilt and shame are not sustainable motivators, and so nothing changes, or the changes that we do make, don’t stick. The fact is, that goal-setting and organizing are optional. We don’t have to do it, and we’re still good people if we don’t. The ability and willingness to re-frame challenges as something positive is key. The big secret here is to move toward becoming solution-oriented. Yes, you need to identify problems, but only briefly. Your mindset should be always toward identifying solutions. Choose to believe that for every problem, there is a solution, and the challenge is to find it (if you don’t believe that right now, pretend that you do – because the universe has a peculiar way of sending solutions to those people who delight in finding solutions). You can create equipoise in your daily life – a perfectly balanced mix of interests and responsibilities. This is a big moment (a choice, really) and from here we can embark in a new direction with a positive attitude and a light heart – with a sense of humor, play, and discovery. Many in our modern era manage their anxiety by repressing and self-medicating (sugar, beer, television – whatever the “drug” of choice is; anything can be used addictively). Organizing, on the other hand, is a healthy way to move forward into change. It’s a great self-soothing technique after the age of 50. The way that life often operates is, that what we celebrate and focus on, we get more of – and that includes our accomplishments. As we move into a higher state of productivity and excellence, it’s essential that we recognize and celebrate our successes– large or small. Celebration is an important part of a balanced life. 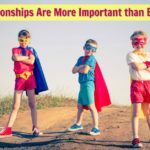 What one particular person you know would find this article helpful and inspiring? I invite you to consider sharing this article now. 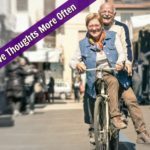 As you cycle through these realizations, you will continue to experience a more balanced daily life after age 50. Your stress will decrease, your level of contentment will raise, and you will be preventing accelerated aging within your own body.